This is a most desirable Live Oak floor plan located in the beautiful gated community of Yauhannah Landing which features an exclusive community boat landing and 1/2 acre+ lots. It is also boat and RV friendly. The boats and RVs will need to be parked on a prepared surface (concrete preferred) in the back yard. The Live Oak features a vaulted ceiling in the great room, a nice size foyer, three bedrooms, two baths, tray ceiling in the Master Bedroom, double sinks in the Master Bath, a dining area off of the kitchen, a nice pantry, two car garage and a nice size covered back porch. 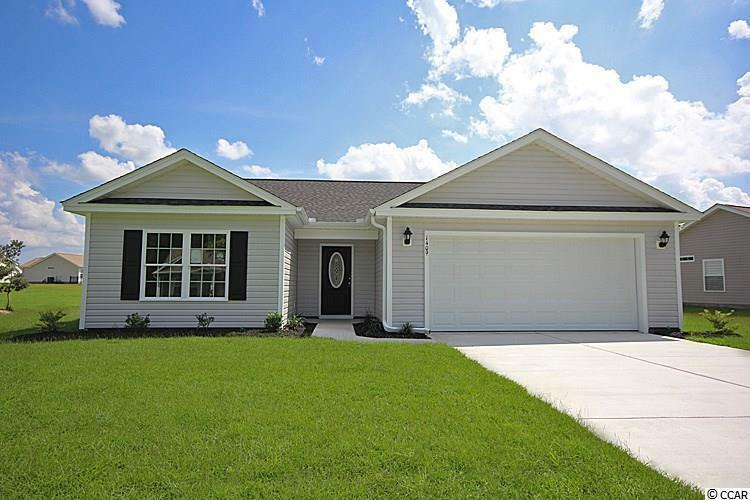 Yauhannah Landing is approximately 16 miles from Conway, SC and approximately 25 miles from Georgetown, SC and just approximately 45 minutes from the beach! It can't get any better than this! Come on out to beautiful Yauhannah Landing and start living the life you have always dreamed of! Kitchen Range Dishwasher Microwave Breakfast Bar Pantry Stainless Steel Apps.